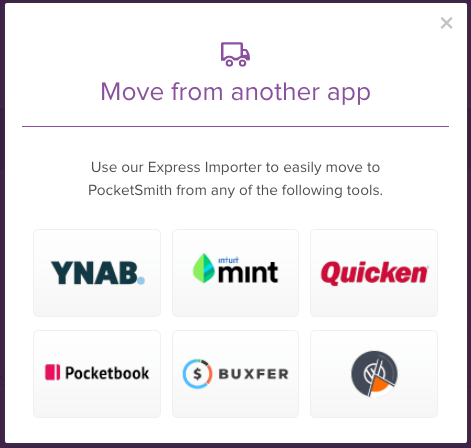 You can move your accounts and transactions from Mint to PocketSmith. Use the custom Mint import tool to bring your data over in just a few seconds. 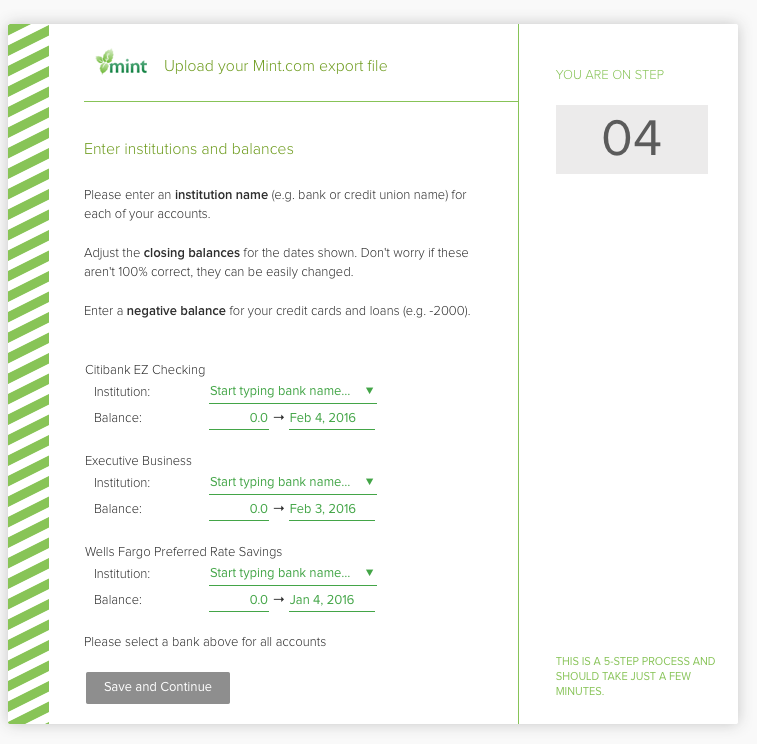 To start, you need to export your transactions for each account from Mint. 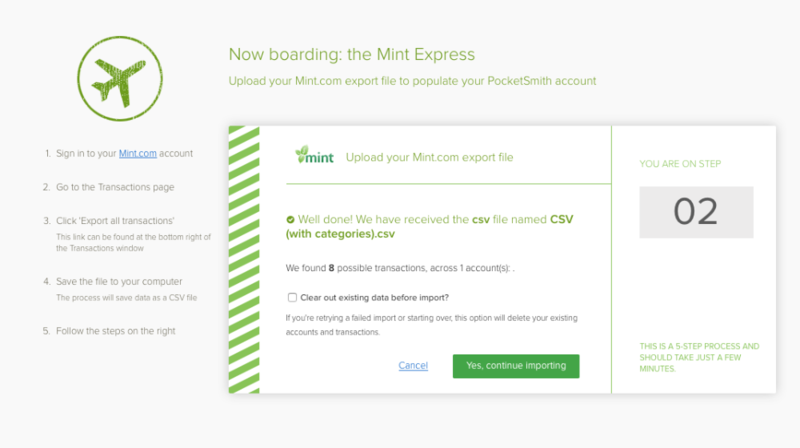 Uploading your exported CSV file from Mint will create all of your old accounts and transactions in PocketSmith that were previously stored in Mint. Use the steps below to generate a complete export from Mint. Click the 'Export all transactions' link. This link can be found at the bottom right of the Transactions window. Save the file to your computer. The process will save your data as a CSV file. You're now ready to upload your files into PocketSmith! 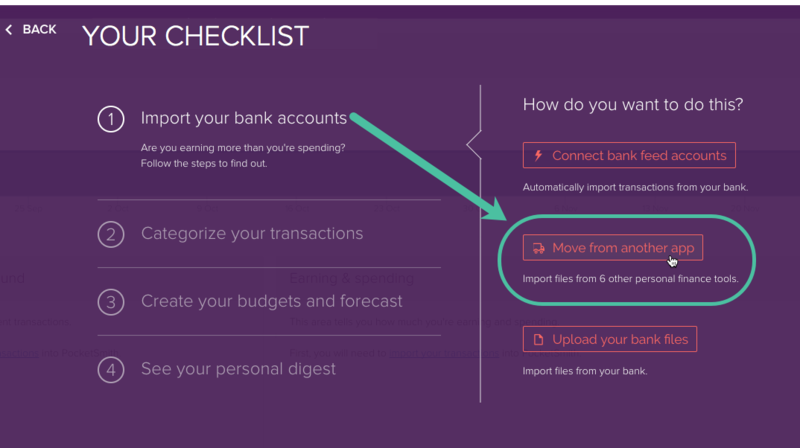 Now that you have your Mint file(s) ready to import into your PocketSmith account, you can access the importer easily from your checklist (just follow the steps below). Or you can jump straight to the importer here - Mint importer - and follow the instructions below, from step 3. Drag and drop your Mint CSV files directly onto the page. Follow the steps on the import form and fill in bank names and balances. Click Save and continue when completed. And just like that! You're all done! 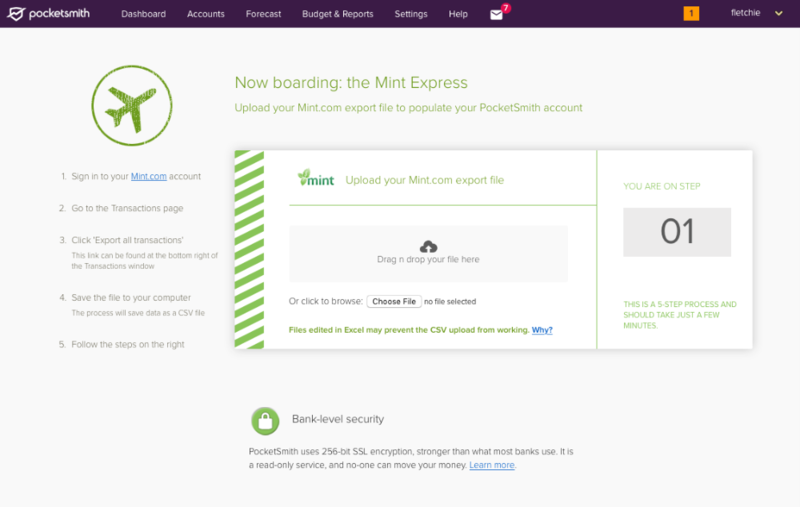 You have successfully migrated from Mint to PocketSmith.